Bring on the springtime vegetables! Of course, in Northern Michigan, this includes nutrient-packed asparagus. 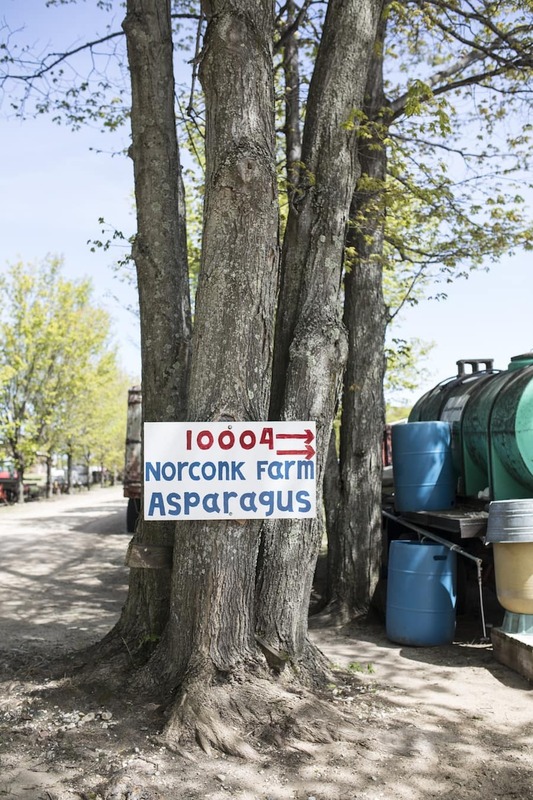 As the harvest season for asparagus quickly approaches, we chat with Harry Norconck of Norconk Farms in Honor—one of the largest providers of asparagus in the area—about the vegetable we’ve all come to know and love. Everything! Simply, it is low in calories and it’s one of the best as far as nutrition. Asparagus has lots of folic acid, vitamin C, and it’s just good good good! Why do you love asparagus? We eat it every day for 40 to 45 days straight during harvest season—and we hardly look at it the rest of the year for some reason (he chuckles). We love it because you can fix it in 100 different ways. Try pairing asparagus with morels and panfish and cook it outdoors. Recipe here! What’s the easiest way to prepare asparagus as a side dish? I can’t say I have a favorite as I like it in all forms. We normally steam it. It’s quick and easy. We even put some in a bowl, add a half inch of water, cover it, and microwave it for five minutes. I can fix a meal in about five minutes that way! We also love to pickle asparagus. Check out the Norconck’s pickled asparagus recipe. As for eating asparagus as a main dish, what’s your favorite way to prepare it? I love asparagus stir-fried with a little cauliflower. Sometimes we toss it with olive oil, salt, pepper, and a little garlic. There are also lots of ways you can grill it. From asparagus toast to beef-asparagus rolls, here are 5 fun asparagus recipes. Asparagus season typically begins around May 15 and lasts through June 25, Harry says. You can pick up his farm’s asparagus during the season at their farm stand (3 miles south of Empire on M-22, turn left for 10004 Aral Rd. in Honor), in downtown Traverse City at the Sara Hardy Farmers Market on Wednesdays and Saturdays, Oleson’s Food Stores in Traverse City, and at a variety of Northern Michigan restaurants. Find more great local farmers markets, CSAs, and farm stands throughout Northern Michigan at ShapeUpNorth.com.